and “Dorothy’s Place Hospitality Center” in Salinas, California – and for thirty years friend to the homeless, as well as occasional cook, dishwasher, spiritual guide, street-sweeper, and director. 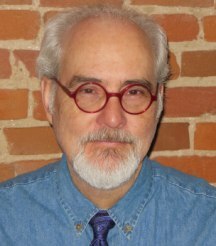 His writings have appeared in various publications including the Catholic Worker Journal and the Occupy Wall Street Poetry Anthology. With his wife Michelle, they are now living in the Midwest exploring a Universal Mysticism, the Divine Feminine, and the Possibilities of another intentional community. 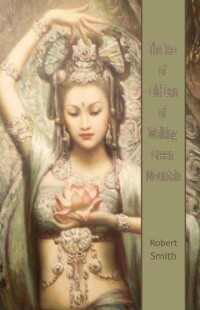 This, the second collection of Smith’s Walking Green Mountain series, is a harmonious fusion of the ancient (“Divine Mother”) aspects of new-age spirituality combined with Taoist philosophy. It is lucid, warm and welcoming, and pure joy to read! It begins with a wonderful twelve-page prologue and then flowers into 46 benign “free verses” followed by the epilogue which wraps up the story of Old Dan, bringing it full-circle, in essence, to begin anew. The Problem: We have forgotten our origins in Love Consciousness and have let the representatives of Power manipulate and control our lives to their own advantage. The Solution: We must enter upon the Path of Remembrance and recreate our lives and institutions according to the requirements of Compassion. The Way: We were never abandoned by the Divine Mother – She has given us the way of remembrance: The Way of a Simpleton. Inspired by Lao Tzu, Chuang Tzu, Basho and a list of many others as credited in Smith’s introduction, his words flow like a pristine spring mid-way down the highest mountain. 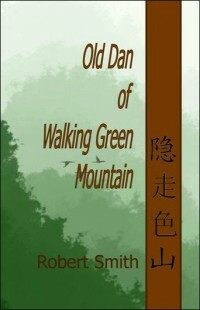 He proffers the following: “So, here is ‘Old Dan of Walking Green Mountain’: he’s as real as both the sunrise and the river that flows through your heart and he’s right there, walking with you, too… and willing to share his walking stick when you need something to lean on…” Enjoy these 37 pages of pure joy, love and inspiration spilling over from the East like morning sunlight.